Automate and centralize management with integration into Dell KACE appliances, Microsoft System Center and industry-standard tools. Power through everyday tasks with ultra-low voltage Intel® Core™ processors options. 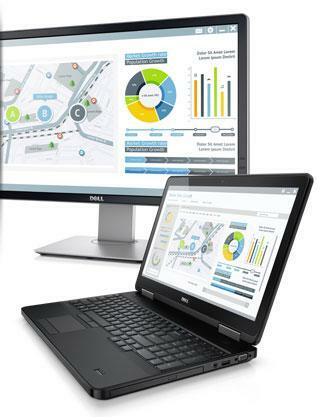 Dock your laptop for a full desktop experience using optional Latitude E-Family docking solutions, Dell’s award-winning monitors and a Dell keyboard and mouse. Boot up quickly with solid-state drive (SSD) options that deliver reliable performance and fast return from sleep mode. Connect and collaborate virtually anywhere with an optional wireless wide area network (WWAN) mobile broadband connection* and with Bluetooth® and WiFi options. Communicate clearly with a built-in HD webcam and microphone array. 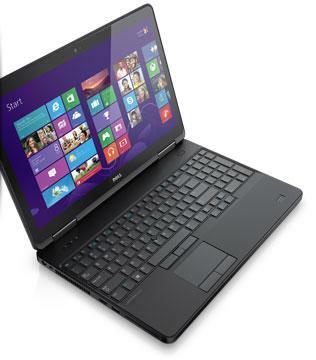 Work without worry, thanks to the laptop’s glass fiber LCD back cover and a MIL-STD-810G-tested chassis. 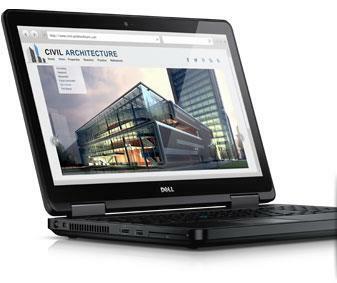 Travel light with a thin and light laptop that has extended battery life. Easily maintain your laptop fleet with single-door maintenance and a common battery shared by all Latitude 5000 Series and 6000 Series laptops. Complete your Latitude 15 with a port replicator, Full HD monitor, padded carrying case and wireless keyboard and mouse. Look for these great products and more at checkout. Maximize your workspace and simplify connections to your keyboard, mouse, monitors and other devices. Work in vivid clarity with a Full HD monitor offering comfortable and connectivity features and an eco-conscious design.